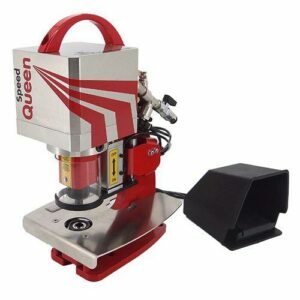 Request a quote for this product. This product is currently unavailable for purchase online. Please call or email us for a quote. Custom 1 3 Panel Display, 2400W x 2270Hmm Login or Register to view prices. 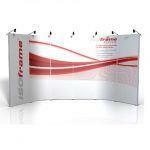 Great display signage is not complete without a stylish and professional-looking exhibition stand. 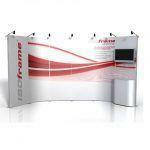 Flexible exhibition stands are popular for many reasons. 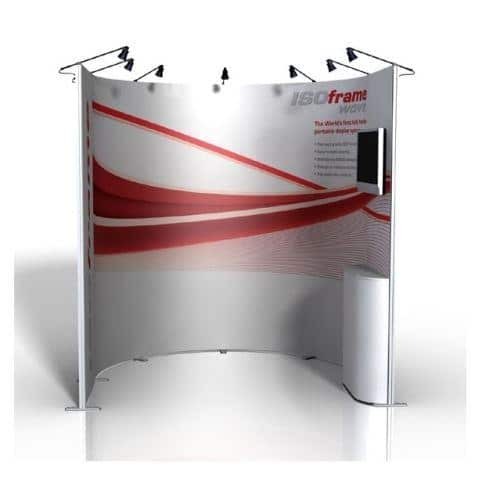 In addition to lending a polished and modern look to your signage, they will secure it and make your booth stand out from your competitors at events. While some may not understand the benefits of using a sleek and sturdy stand, once you have used one of our products you will see how helpful it is when setting up your display. At Eurotech, we offer a great selection of pop-up and modular hardware options that suit different sizes of exhibition display stands. 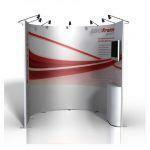 Eurotech offers portable display stands, designed for easy transportation and installation. What makes our exhibition stands different is the ISOframe Wave System design that holds 800mm signage per frame. 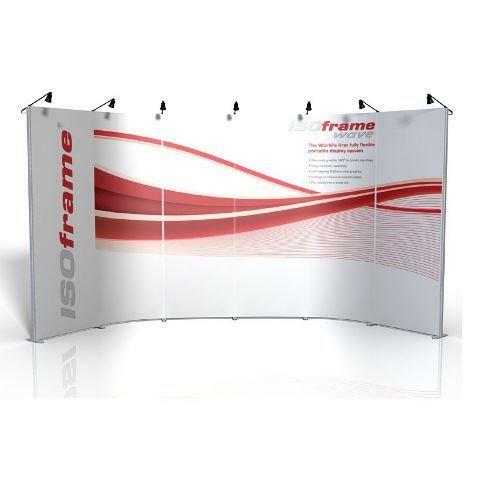 The frames are easy to connect for a seamless display. We offer a wide selection of bags and cases for the panels, to ensure that your display is protected from damage during transport. Equipped with a specialised linking system, the panels are easy to assemble and disassemble for your exhibitions. 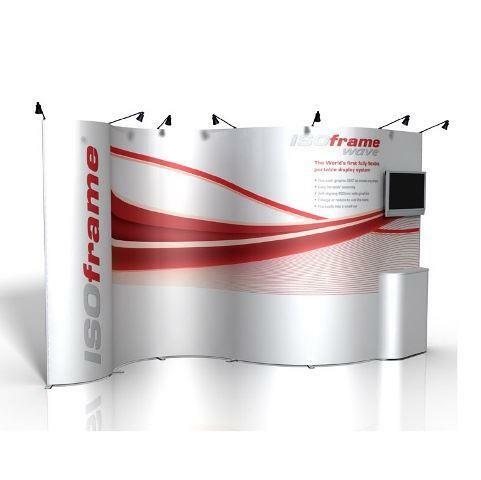 The ISOframe Wave System is the world’s first fully flexible exhibition display stand. 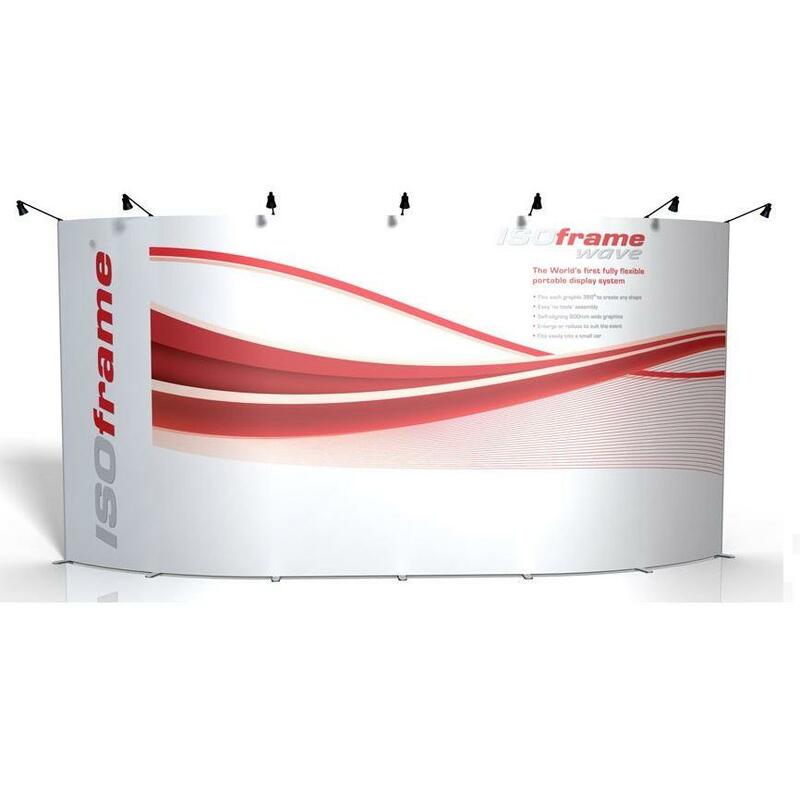 As versatile as it is stunning, it is ideal for small-and medium-sized exhibitions, allowing you to extend your exhibit area and set out your space exactly as you want it. 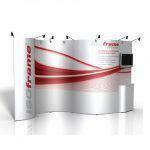 Eurotech supplies the 800mm flexible exhibition stands at 3 to 10 panel display options. Please see the table below for pricing details and product specifications. 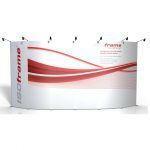 Should you prefer a customised stand, please feel free to get in touch with our team. 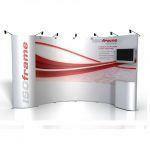 Eurotech provides functional exhibition stands you can rely on for a display that stands out. If you’re interested to learn more about our products, contact us today and let us know how we can help you.